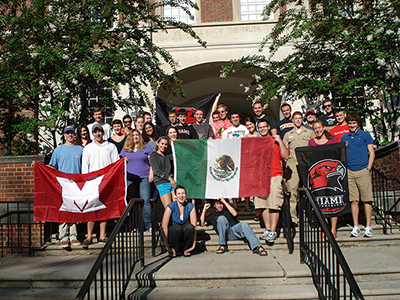 LAS students and faculty display Mexican and Miami flags. Opportunities to study abroad and to engage with Latin American communities in Ohio promote the active application of international knowledge to vital issues in today's changing world. The Cuba in Transition course, for example, allows you to expand your understanding of contemporary Cuba within the global context. Students should meet with an LAS advisor to gain approval before study abroad, and return with syllabi and course materials to secure transfer credit.